I have followed Dan Rockwells’ Leadership Freak Blog for some time, and I have benefited from reading his posts. This one is particularly good. In part because I have an intense dislike for the critique sandwich. The praise always comes across as insincere. And I prefer a good roast beef sandwich to a bologna (baloney) sandwich any day. Dan’s insights here are profound, and I will change my approach because of it. That is why I share it here with you. Recall Carnegie’s admonition to be “hearty in your approbation and lavish in your praise.” The baloney sandwich is neither. If you enjoy this, check out Dan’s other posts at Leadership Freak. He is at a place where I am striving to be with my blog. Shoe drop syndrome: Waiting for the bad news, after receiving the good. Manipulative leaders use praise as the channel to give the bad news that’s really on their mind. Everyone ignores the good, and waits for the other shoe to drop. The feedback sandwich is filled with baloney. You start and end with praise and slip the baloney in between. Go ahead, use praise as a courtesy, when delivering tough news, but don’t expect it to stick. If the only praise you give is in preparation for bad news, you’re a jerk. 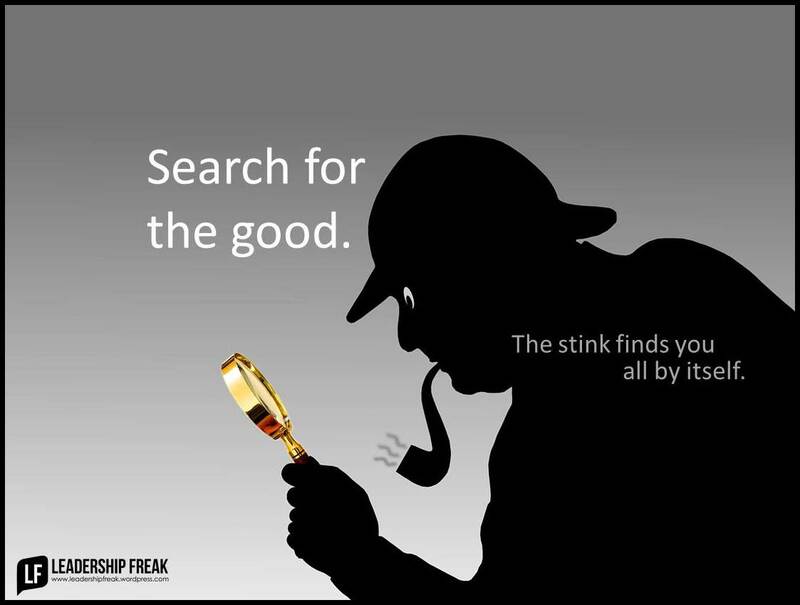 Search for the good. The stink finds you all by itself. Schedule a daily walk about to look only for praiseworthy behaviors. Take 15 minutes every day this week to bring it up and brag it up. Use language that expresses emotion. I’m so proud to work here when I see ______. Think about things that are running smoothly. What isn’t broken? Seize imperfect moments to offer imperfect praise. Don’t wait for the perfect moment. Compliment small things. If you wait for the big stuff, you wait too long. Complete this sentence. I respect you for ______. Acknowledge effort as well as achievement. When you see behaviors you want more of, complement it right then. Who gets along, serves, speaks truth to power, or goes the extra mile? Use virtual channels if your team is spread across the globe. Don’t allow poor performers to consume your time, attention, and energy. Give them a chance. Help them step up. Offer training. But, don’t let compassion or hope be the reason you neglect high performers. Focus on high performers and people who are growing, if you want great achievement. How might leaders aggressively search for the good?